An organized and efficient inventory system is critical to the operational success of any warehouse. Following these four tips will help you to properly store and manage warehouse stock. Every modern warehouse should consider automating their processes through a warehouse management system (WMS) and technology such as barcodes or RFID tags. 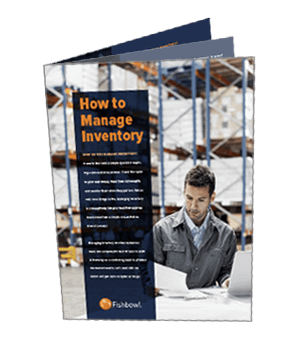 When inventory management is paired with a robust software system and inexpensive bar codes, warehouse efficiency and worker productivity will drastically increase. Smart warehouse managers understand that technology provides excellent solutions for inventory control and fulfillment purposes. As a result of technological advances, companies will experience better inventory visibility, order accuracy and labor efficiency. Warehouse managers know that an optimized picking process is the key to developing an efficient system. Most warehouses divide their stock into different categories, such as best- and worst-selling products. It is highly recommended that warehouse managers store the best-selling products near the shipping area. This will decrease labor time and order fulfillment cycle times. It will also reduce employee frustration and frantic scavenger hunts. In addition to this, you should statistically analyze inventory data in order to understand which products are often purchased together. Group these items together and be sure that employees are trained to recommend similar improvements. As mentioned above, high volume stock needs to be strategically located near the staging and shipping areas. However, space restraints or logistical requirements may result in certain items being stored in hard-to-access or high-traffic places. Inventory areas with high volume will naturally experience housekeeping problems as employees rush to fulfill orders. Sometimes, they will be forced to temporarily leave a shipment in order to fill a different rush order. Despite all of this, there must be designated traffic routes that must be kept clear at all times. If necessary, designate one staging and shipping area for priority orders and one for non-urgent shipments. Storage containers and equipment that are in constant use will naturally break down early. Broken equipment, such as conveyor belts or plastic wrapping machines, will cause serious downtime problems that will result in lost revenue and dissatisfied customers. Certain materials, such as foods or chemicals, must be properly stored in containers with Powerblanket devices that maintain constant temperatures or spoilage may occur. In order to avoid these problems, there should be a comprehensive preventative maintenance program that inspects and replaces parts or containers ahead of the predicted product life cycle end. To review, warehouse efficiency can be improved through automation, strategic stock placements and a preventative maintenance program.